„Thanks to the sub­ven­ti­on of Toshi­ba Inter­na­tio­nal Foun­da­ti­on, we have orga­ni­zed the sym­po­si­um “Image of Japan in Euro­pe” as a space for dis­cus­sion about the con­struc­tion of Japan’s image with the rese­ar­chers from dif­fe­rent coun­tries. On the 13th of Octo­ber 2007, rese­ar­chers were invi­ted to sha­re their know­ledge at Vytau­tas Magnus Uni­ver­si­ty Japa­ne­se Stu­dies Cent­re, estab­lished in 2000. It is situa­ted in the buil­ding of the for­mer Japa­ne­se con­su­la­te, whe­re the famous Japa­ne­se diplo­mat Chi­u­ne Sugiha­ra worked during the World War II and saved lives of thousands of Jewish peop­le by issuing them tran­sit visas to Japan. The main aim of the sym­po­si­um was to exchan­ge aca­de­mic know­ledge and expe­ri­ence regar­ding Japan’s rep­re­sen­ta­ti­on in dif­fe­rent European coun­tries, to detect and fill in pos­si­ble gaps in Japan’s image crea­ti­on that hin­der suc­cess­ful inter­cul­tu­ral com­mu­ni­ca­ti­on bet­ween Japa­ne­se and European peop­le. We are very satis­fied that the pre­sen­ta­ti­ons during the sym­po­si­um could cover various aspec­ts of Japan’s rep­re­sen­ta­ti­on in European coun­tries. As a result, we expect that the out­co­mes of this sym­po­si­um will help to find means to impro­ve the rep­re­sen­ta­ti­on of Japan and its cul­tu­re not only in Lit­hua­nia, but also in other European coun­tries. In order to achie­ve this aim, we have invi­ted rese­ar­chers from dif­fe­rent regi­ons of Euro­pe. BÜTTNER, Tho­mas: Japa­ne­se War­ti­me Eli­tes Through Ger­man Eyes. SPROTTE, Maik Hen­drik: Bet­ween Admi­ra­ti­on and Fear – the Con­struc­tion of Japa­ne­se Other­ness in the Ger­man Empi­re (1871–1918). BLOMBERG, Catha­ri­na: Isles of Gold or Poli­ce Sta­te – the Wes­tern View of Japan from Mar­co Polo to the Pre­sent. ZYKAS, Aure­li­jus: Coun­try Bran­ding Stra­te­gies in Japan: The Strength and Trends of Brand Japan. GRENDAITE‐VOSYLIENE, Gre­ta: Cor­po­rea­li­ty and Con­tem­pora­ry Japa­ne­se Art as Pre­sen­ted in Euro­pe. IWATAKE Mika­ko: Dif­fe­ren­cing Body, Per­forming Race; Nori­ko Show in Fin­land. 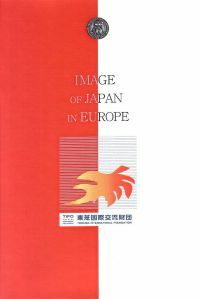 MACHIDA Juni­chi: From the Mar­gins of Euro­pe: Com­plex Images of Japan in Mal­ta and the Wave of Glo­ba­li­za­ti­on. KOMA Kyo­ko: Image of Japa­ne­se Women in Lit­hua­ni­an News­pa­pers in 1995, 2000, 2005. BARANCOVAITE, Kris­ti­na: Con­struc­tion of ‚Japa­ne­se Woman‘s‘ Image in Lit­hua­ni­an Women’s Maga­zi­nes. HONORÉ, Jean‐Paul: The 147 Ota­kus. A Japa­ne­se Sto­ry. Ste­reo­ty­pe, Infor­ma­ti­on, and Fab­le in the Con­tem­pora­ry French Media. IKEDA Yoshi­ko: Image of Japa­ne­se Men in Ame­ri­can Films from WW2 to the Pre­sent. ITO Yu: Expor­ted Japan: on Japan’s Popu­lar Cul­tu­re Poli­cy. ONOHARA Nori­ko: Whom do You Dress up for? Gothic Loli­ta Fashion in Japan. HATADA Koi­chi: Regis­te­red Tan­gi­ble Cul­tu­ral Pro­per­ties of Japan and their Uti­li­za­ti­on for Cul­tu­ral Activi­ties: The Case of Hata­da Fami­ly House.